Dead Biston betularia moths stuck on tree trunks. Most people learned about these little moths in school as the ultimate triumph of Darwinism—evolution ‘captured in action’. 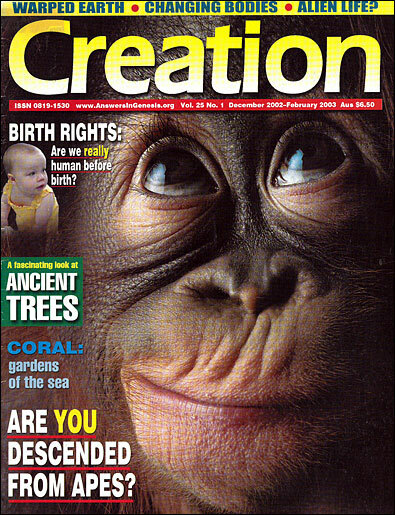 Creation magazine reported (21(3):56) how the Peppered Moth story has fallen apart, with revelations of faked photos and more. So now that much of the dust has settled, what is the latest concerning this sensational debunking? The story concerning England’s Peppered Moths (Biston betularia) originally seemed very straightforward. The research is attributed to one H.B. Kettlewell, who is reported to have said that Darwin would be overjoyed to see the vindication of his theory. The insects used to be mostly of a light form, with occasional darker (melanic) forms. Light-coloured lichen growing on tree trunks meant that the light forms were very well camouflaged, while the dark ones would ‘stand out’ to the eyes of hungry birds. Therefore, it made sense that hungry birds would eat more of the lighter ones, so the dark ones would become the dominant form. Pollution from the Industrial Revolution is said to have killed off much of the pale lichen covering the tree trunks, thus darkening them, so that now the dark forms were better camouflaged. Therefore, it made sense that hungry birds would eat more of the lighter ones, so the dark ones would become the dominant form. Kettlewell’s experimental observations were supposed to have shown that this is indeed what happened. Then, as pollution began to be cleaned up, the tree trunks became lighter again, so light moths resting on the tree trunks would now be less easily seen, thus the ratio shifted the other way. Photographs were taken of the dark and the light forms resting on the tree trunks, showing how obvious the camouflage differences were. To further ‘clinch’ the case, birds were filmed preferentially ‘picking off’ the less camouflaged forms. As we reported, the whole issue—ratios of dark to light moths shifting back and forth in response to their environment—is no big deal in the creation/evolution argument anyway. The famous evolutionary biologist L. Harrison Matthews, writing in the foreword to the 1971 edition of Darwin’s Origin of Species, pointed out that the Peppered Moths observations showed natural selection, but not evolution in action. Selection is an important part of evolutionary theory, but it is not the same thing. However, most evolutionists, including H.B. Kettlewell, write as if they were the same thing, muddying the waters for the lay public.1 Natural selection is also an important part of the Creation/Fall model, and was even discussed by the creationist Edward Blyth, 25 years before Darwin. Since there is that confusion, and since the moth story is so easy to understand and explain, it is not surprising that evolution’s apostles were motivated to ‘push’ the Peppered Moth scenario as hard as possible in educational and media circles. This made it doubly embarrassing for them when key elements of the story fell apart. 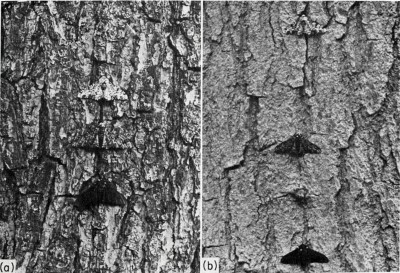 The famous photos of light and dark moths resting on a lichen-covered tree trunk were faked by pinning and/or gluing dead moths onto logs or trunks. The filmed ‘experiments’ involved either dead moths, or laboratory moths (so stuporous they had to be warmed up first), placed on tree trunks in the daytime. We reported the reaction of evolutionist Jerry Coyne of the University of Chicago. He said that finding out the moth story was wrong was like when he found out at age six that it was actually his father who was bringing the Christmas presents. So what has happened since this story (which should never have been seen as proof of evolution anyway) collapsed so badly for evolutionists? The author of the main book that revealed the flaws, Michael Majerus, still defends the basic textbook story. He and other defenders admit, however, that there are serious problems with Kettlewell’s experiments, and that Kettlewell’s successors tested the bird’s feeding behaviour using dead moths. The previously mentioned Dr Jerry Coyne, apparently furious that creationists are making good use of his comments, seems to be hastily backpedaling, saying that the moths are still a good example of ‘evolution’. Others, like the University of Massachusetts’ Theodore Sargent, are less forgiving, pointing out that the situation was totally artificial. The birds would have quickly learnt of a ‘free lunch in the woods’. The evolutionary story demands creative additions of new information. Three statements sum up the biological reality about this issue. In other words, the only thing that’s happened is that the relative numbers of each have gone up and down. 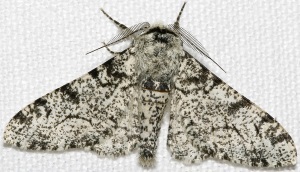 What do I think should be the real take-home lesson of the Peppered Moth saga? The fact that this amazingly banal set of events has been hammered worldwide as ‘ultimate proof’ for a belief that microbes originally turned into moths (and moth researchers)! This is far more stupefying to contemplate than even all the faked photos and talk of fraudulent experiments. Hooper, J., Of Moths and Men: Intrigue, Tragedy & the Peppered Moth, Fourth Estate, London, 2002. Return to text. Darwinism in a flutter, The Guardian (UK), 11 May 2002, p. 10. The New York Times, Staple of evolutionary teaching may not be textbook case, nytimes.com, 19 June 2002. Return to text. New information has to have a source. Evolutionists look to mutations, but here is where they really have problems, and where the real issue is concerning evolution’s alleged mechanism. See Wieland, C., Beetle bloopers, Creation 19(3):30, 1997. Return to text.